2. 課程中有客製化的部分，讓大家可以透過雷射雕刻，製作自己個人化的Arduino！(本次課程底版會使用黑色底版)。報名完成後，請連同圖片與需要打上的字樣 mail至 hello@makerbartaipei.com 並於標題註明 10/18自己的Arduino自己做! 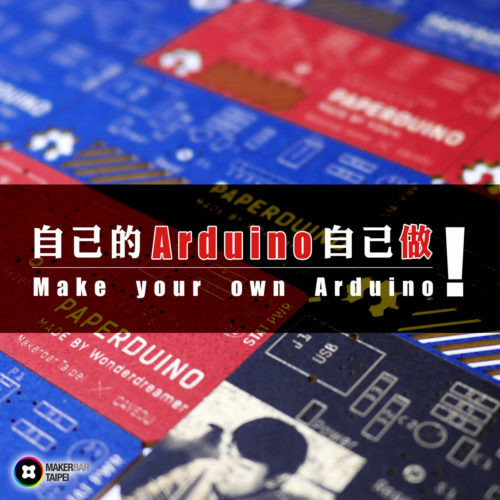 This entry was posted in Arduino嵌入式開發板, 活動快報與紀錄 and tagged arduino, DIY, 改裝, 研習.